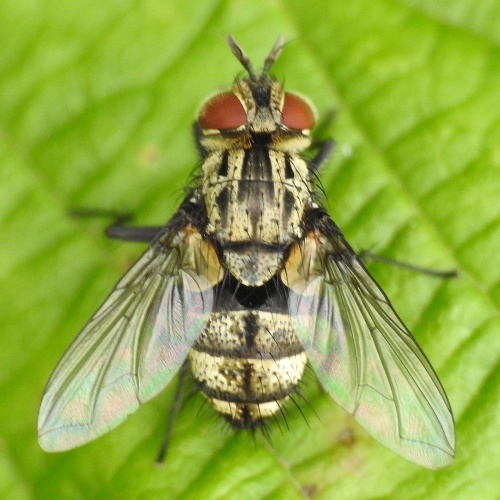 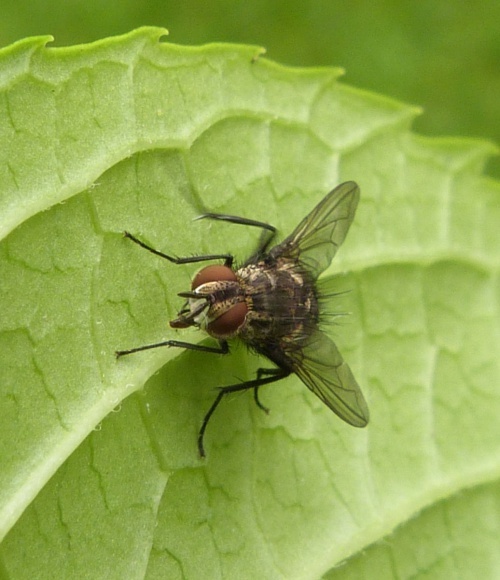 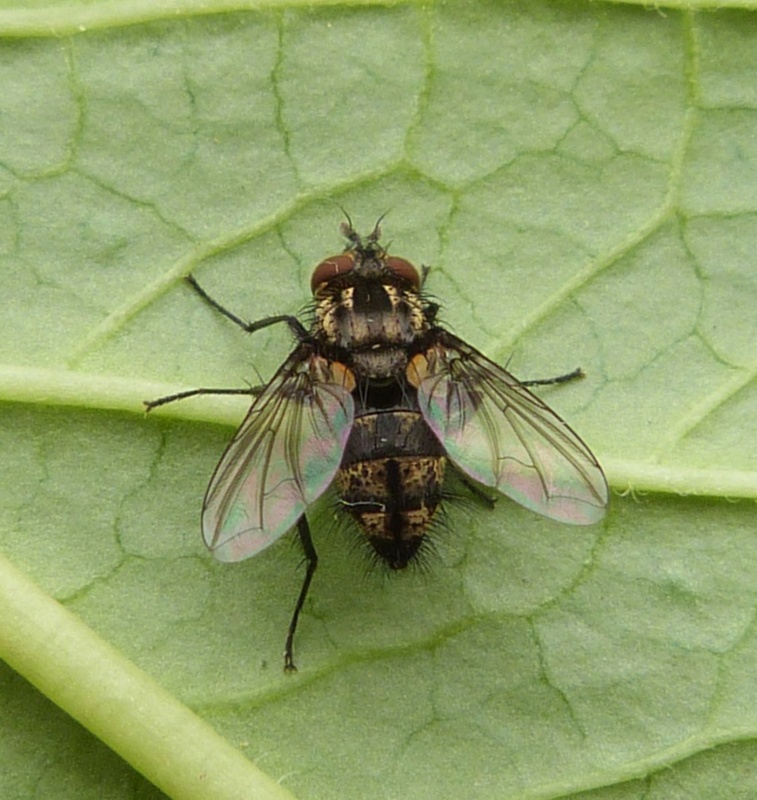 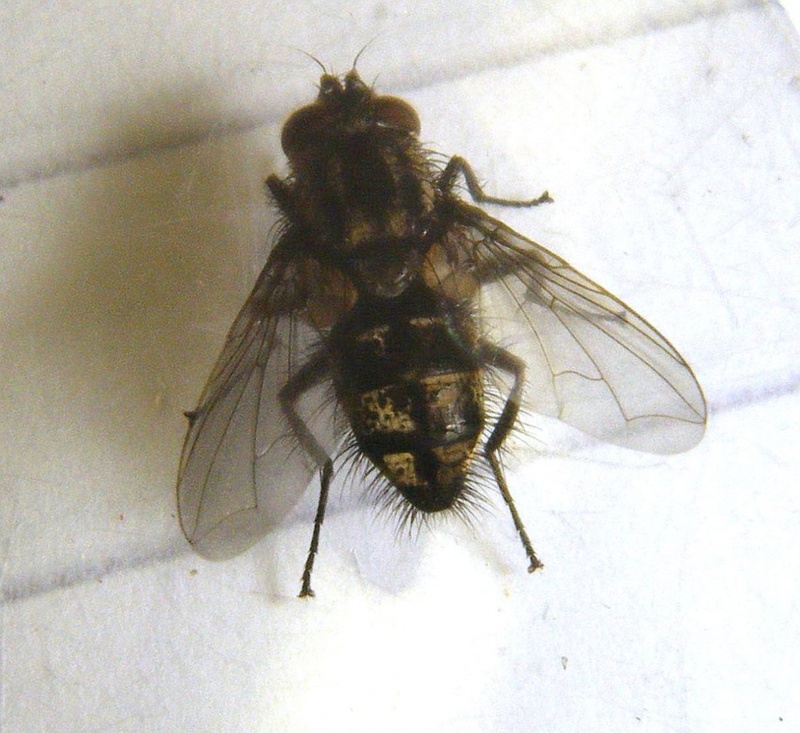 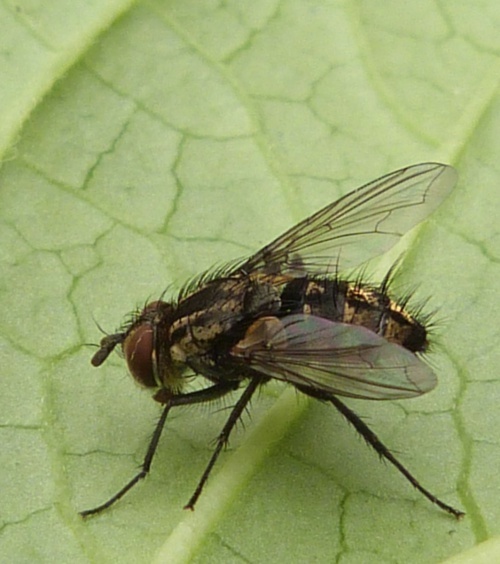 This is a very hairy fly with a two-tone appearance ranging from beige and black to pale grey and black and sometime rather speckled on the abdomen. 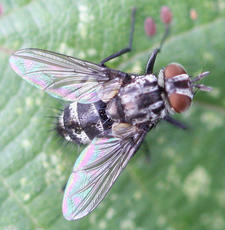 It had a striped thorax. 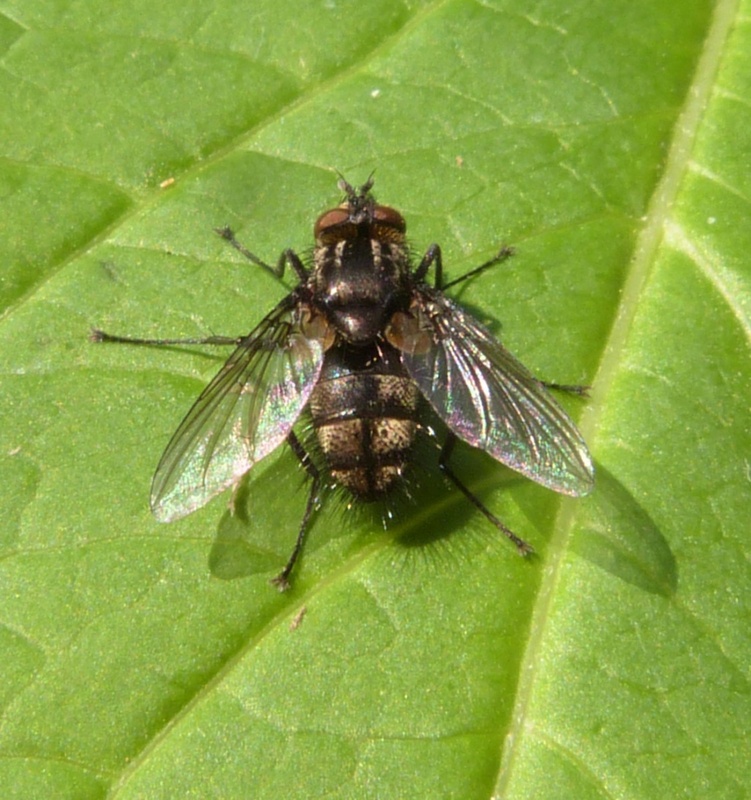 This is a member of a group of parisitoid flies that lay their eggs on or in the larvae of other insects. 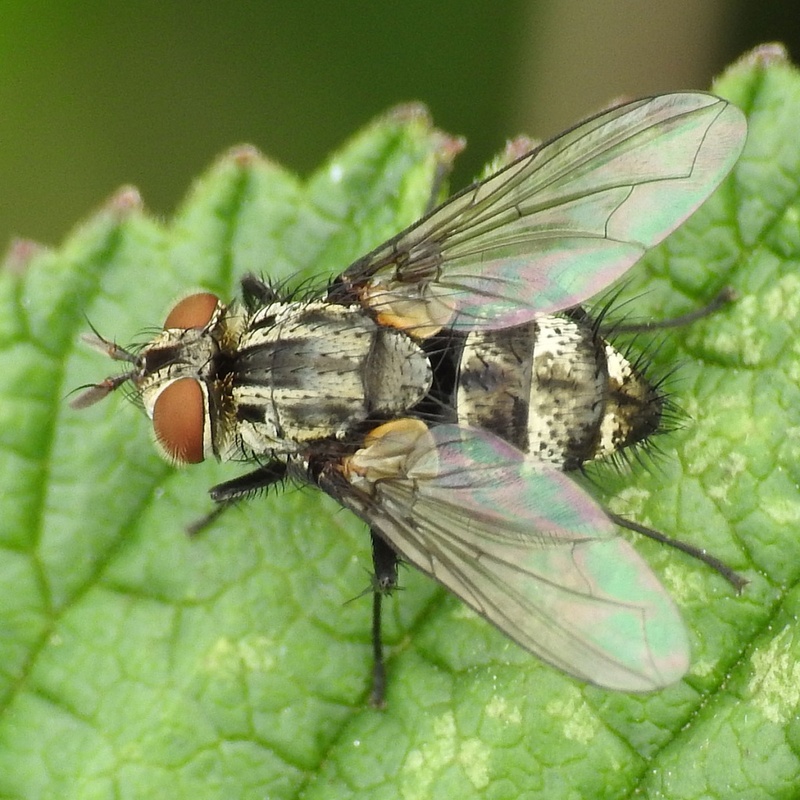 Fairly widespread in southern Britain.